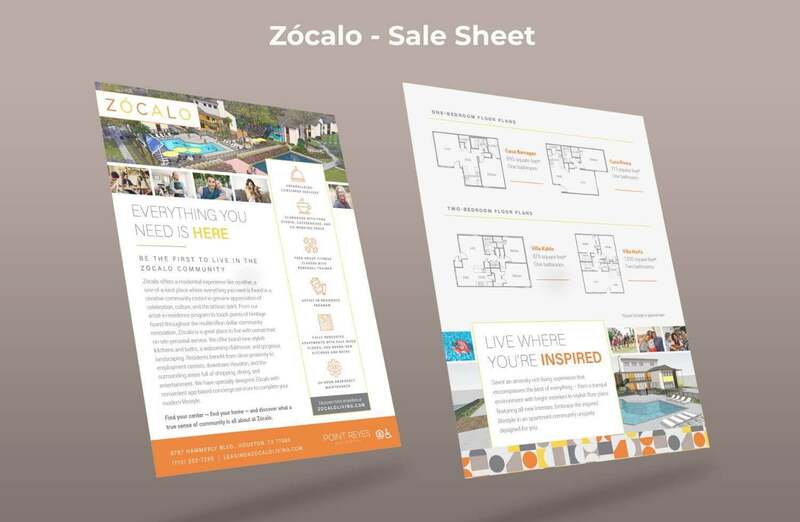 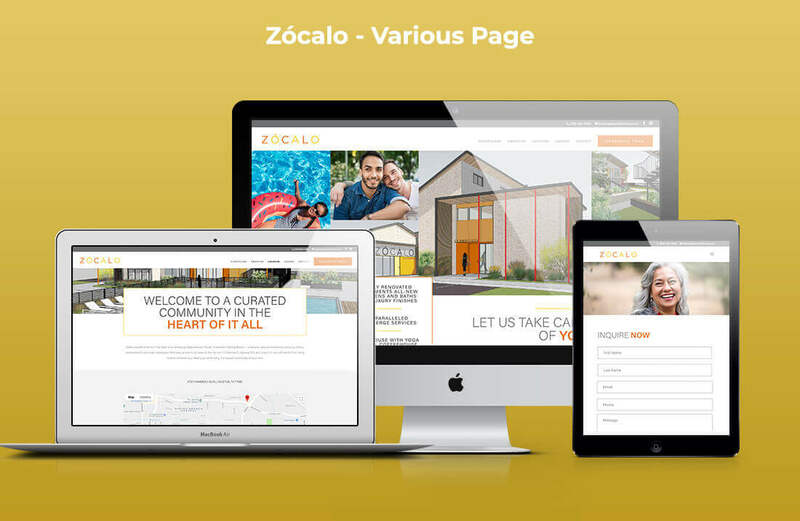 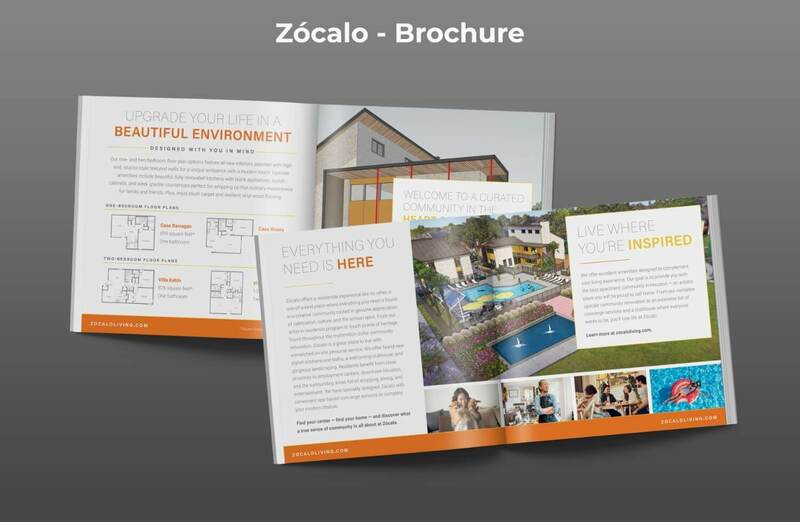 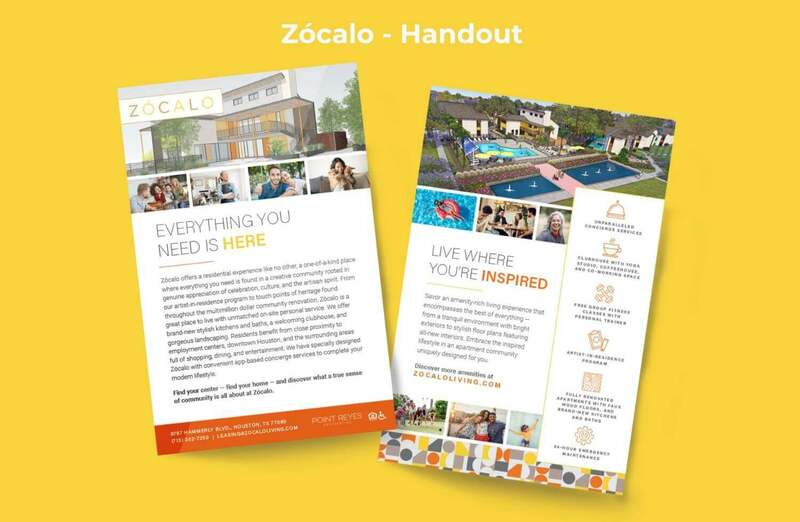 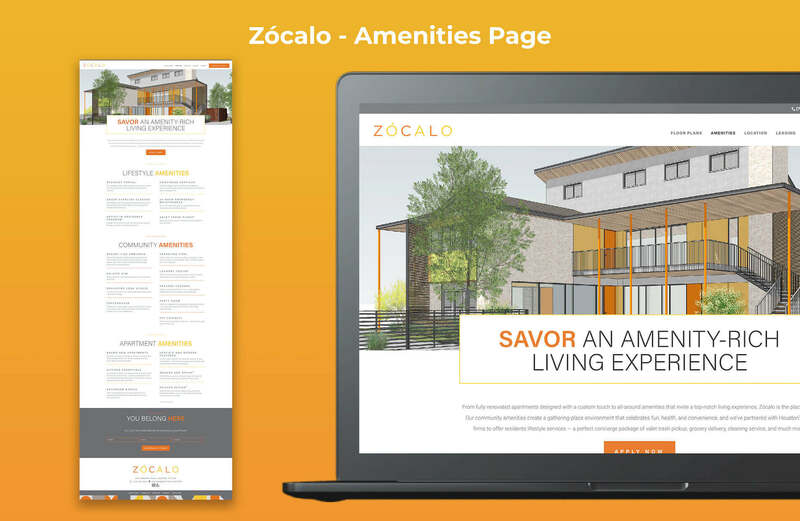 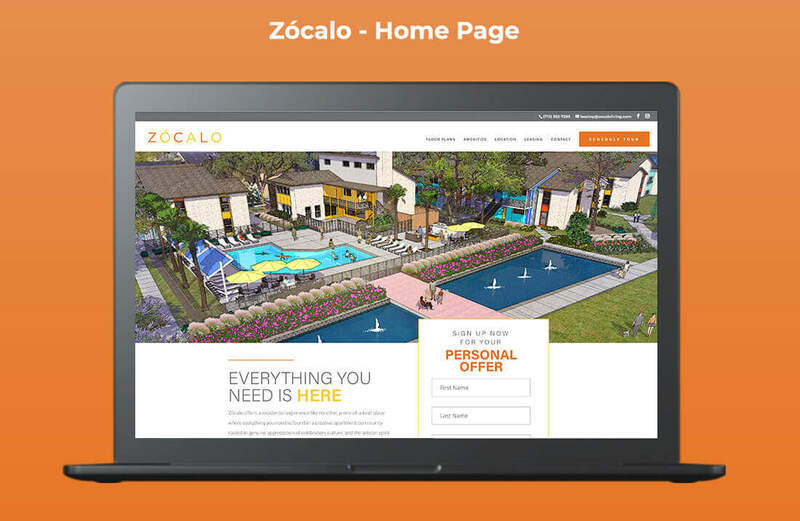 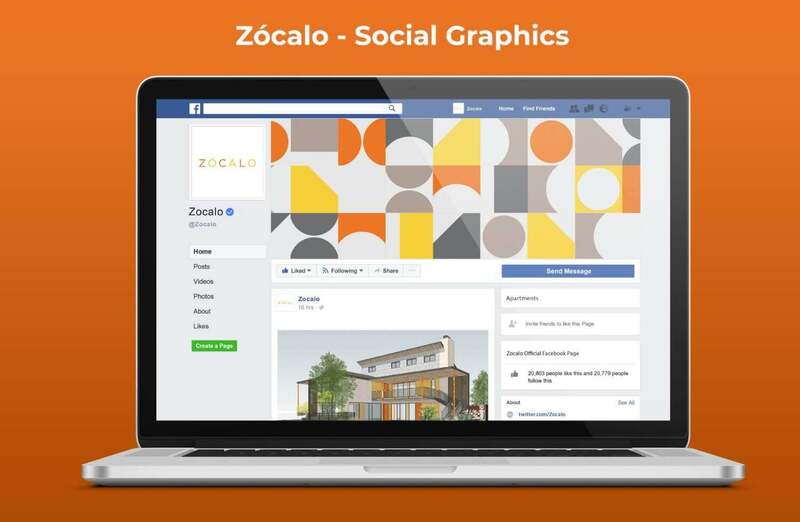 Zócalo is an apartment community based in Houston, Texas, currently undergoing a multimillion dollar renovation that needed a strong brand presence to prepare for a new lease-up. 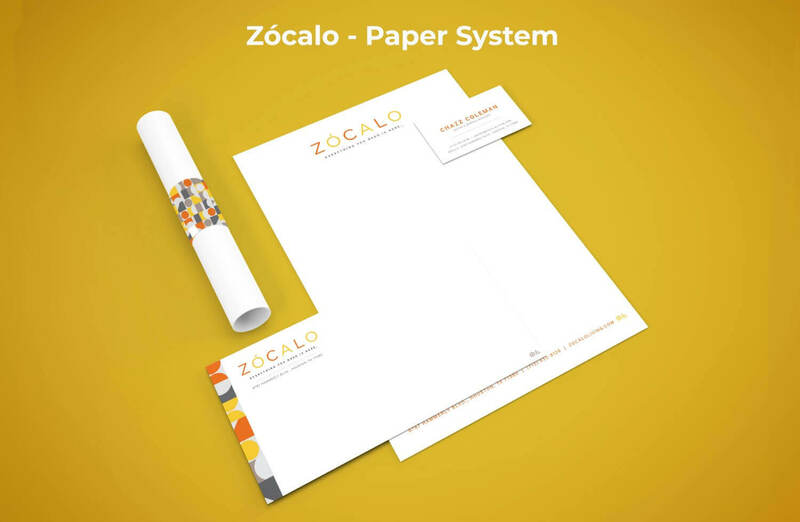 The client contracted Catalyst to take their existing brand — which included a name, logo, colors, and fonts inspired by mid-century-modern-meets-Mexican-art influences — and round it out with greater depth. 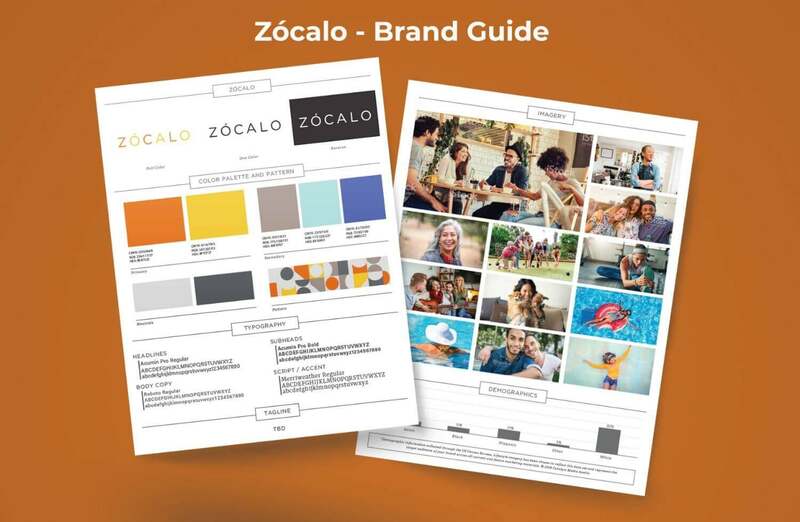 Catalyst collaborated with the client on the colors and provided a secondary color palette, as well as chose lifestyle imagery to complement the uniqueness of the asset and support the foundation of the brand’s identity — a key element woven throughout all marketing materials and the website.